Rabbis allow Gender Selection and believe in swaying too! After years in which rabbis forbade any sort of gender selection at conception, a recent revolutionary Halachic (Jewish legal) ruling has now deemed it permissible to intervene and select the gender of a fetus in certain situations. The ruling was to be officially issued at a conference on Wednesday organized by the Puah Institute, which offers fertility treatments in line with Jewish law. According to Burstein, rabbis have forbidden any kind of intervention until now. ”It is considered to be the spilling of seed, and a gross intervention, which is generally unacceptable. But since the number of requests has been growing, and since sometimes the requests stem from a deep psychological need, it is possible to permit the second and third methods,” he said. “We have come across cases of people who felt it was important to have sons to carry on the family line because of the Holocaust, or families with six or seven daughters in which the father wants a son so much that it threatens the marriage. In cases like this, the matter will be examined by the appropriate rabbis, psychologists and medical committees, and clearly a Halachic compromise can be reached. Jewish law is making incredible strides as medicine advances. It is easiest always to say no, but sometimes, if the rules can be eased or and if solutions can be found then we should strive for that,” he said. At GenderDreaming, we have to LOL at the “3 ways” part. First, timing has been disproven and cannot be used to select the gender of a fetus alone. Shettles was wrong and that just doesn’t work. Second, the “apparatus” they refer to has to be either MicroSort, which is no longer available in the USA or Ericsson which has never been proven to work. There is not one single independent review outside of the people that work at Ericsson that shows that it does anything at all. 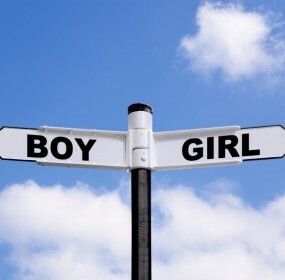 The only way to guarantee the gender of a fetus is through IVF with PGD. It is nice to see some acknowledgement of Gender Desire/Disappointment that some people have- the “deep psychological need”. That is very true and it is something that affects many people from all over the world. Most of the world outside of India and China are hoping to have a daughter through Gender Selection methods. Our community is made up of mostly women that desperately want a daughter to balance out their family dynamic. Of course, there are people that are looking for sons too, but it isn’t the men doing the looking, it is a process and decision that is spearheaded by the woman. That is the modern era of Gender Selection.